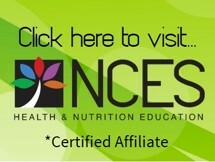 Thank you for visiting the Kansas Academy of Nutrition and Dietetics webpage for the public! Here you will find information about the practice of a registered dietitian and dietetic technician, registered as well as links related to food and nutrition, and other resources. Why is Dietetic Licensure so Important? The Academy asks all state affiliates to appoint a Consumer Protection Coordinator (CPC). KSAND’s CPC serves as the liaison to the RDN and Academy of Nutrition and Dietetics, attending Academy conference call forums, CPC conferences at FNCE, and facilitate clear and effective communication addressing questions pertaining to licensure and continuing education requirements. Kansas has licensure defined as a title only act. This type of licensure defines the legal scope of practice of a Licensed Dietitian in Kansas. It means that if another individual who is not licensed calls themselves a “dietitian” they would be breaching our licensure law. It also provides that if an individual provides services that are defined in the “scope of practice” without a license, they may be in violation. If you are unsure of whether a licensure law may have been breached, please contact your Consumer Protection Coordinator (CPC) or Brenda Drier with the Kansas Department of Health and Environment at bkroll@kdheks.gov, at Health Occupations Credentialing, 503 S Kansas Avenue, Topeka KS 66603-3404, or by phone at 785-296-1240. The website for Health Occupations Credentialing is www.kdads.ks.gov. Registered dietitians are the trusted nutrition professionals. Licensure enables patients, consumers, and insurers to trust that only qualified individuals are practicing dietetics. Licensure also ensures that qualified individuals are delivering safe, effective medical nutrition therapy. Earning and keeping the trust, while keeping our patients and consumers safe, is of utmost importance. Please report any questionable practice to protect our patients or consumers and our profession. Let’s support proper licensure of all practicing nutrition professionals to bring no harm to the public and profession. by Roberta Larson Duyff, MS, RD, FADA, CFCS. Wiley, 2012. For more books and publications, visit the Academy Online Store.